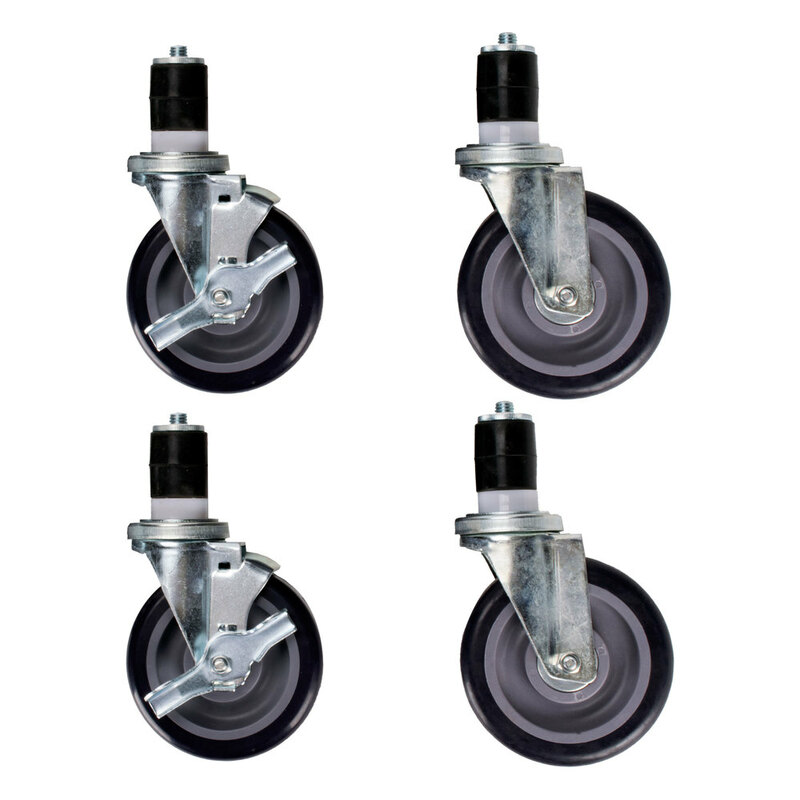 This Regency heavy duty 5" caster set lets you turn any work table or equipment stand with standard 1 5/8" O.D. 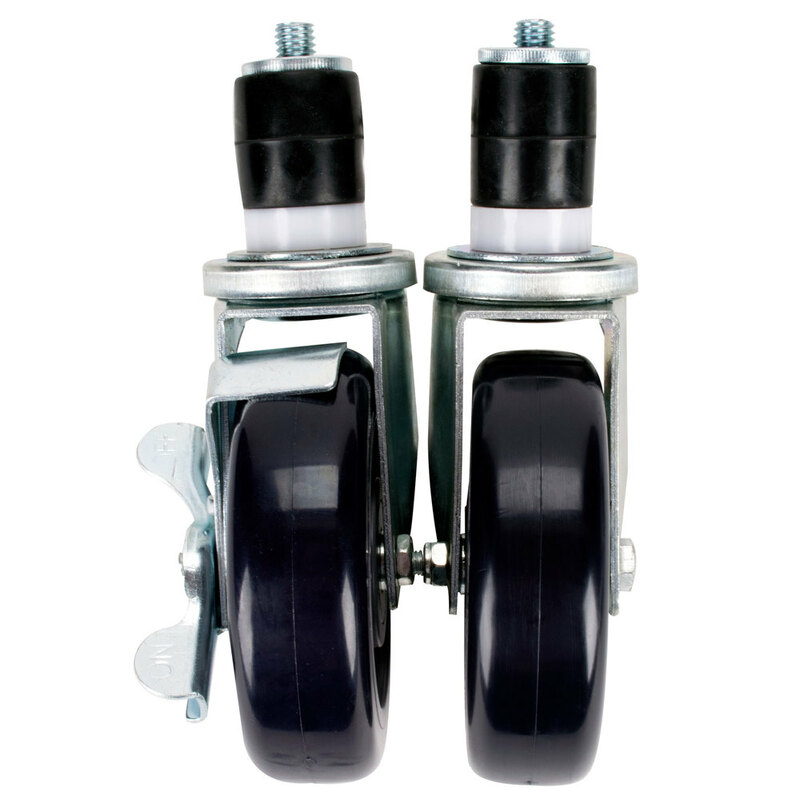 legs into a mobile work station. 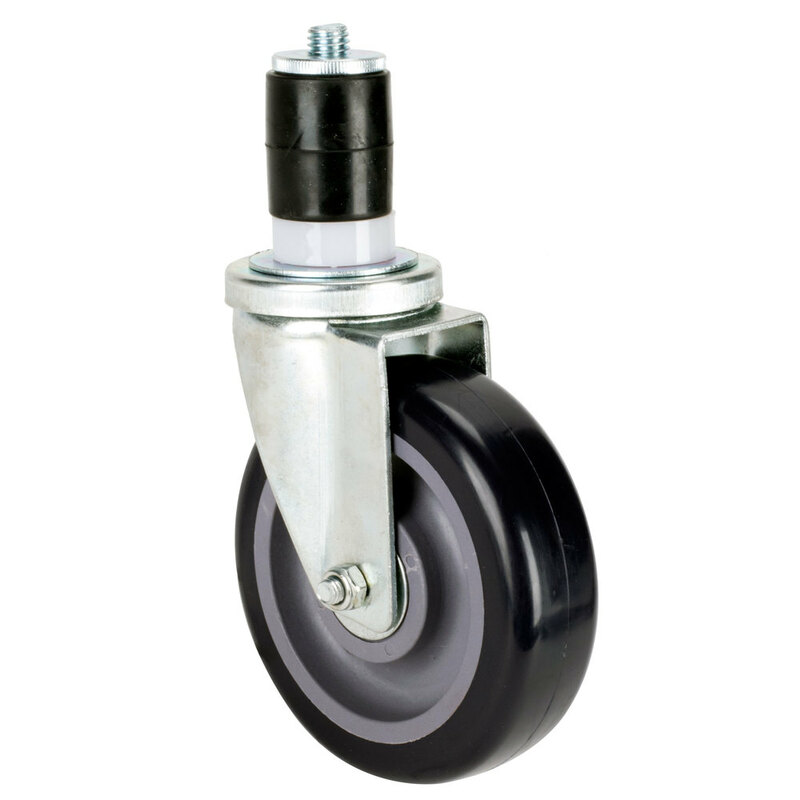 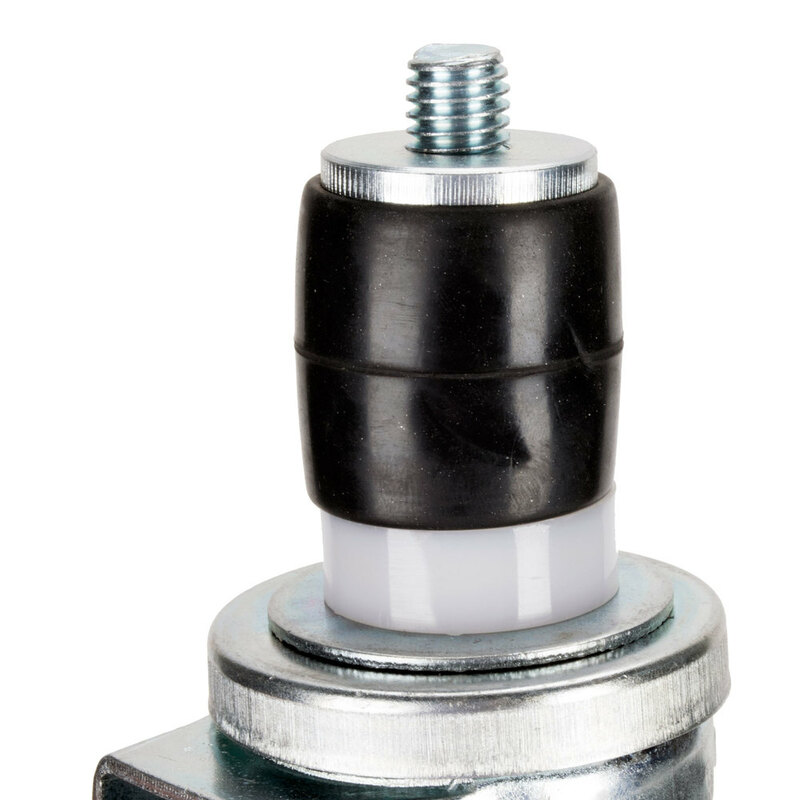 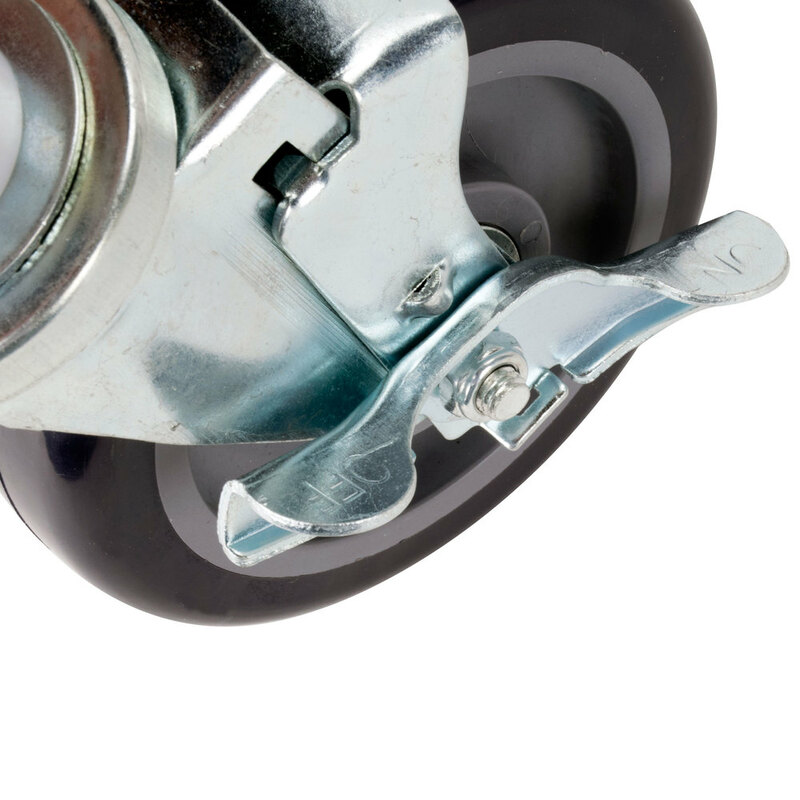 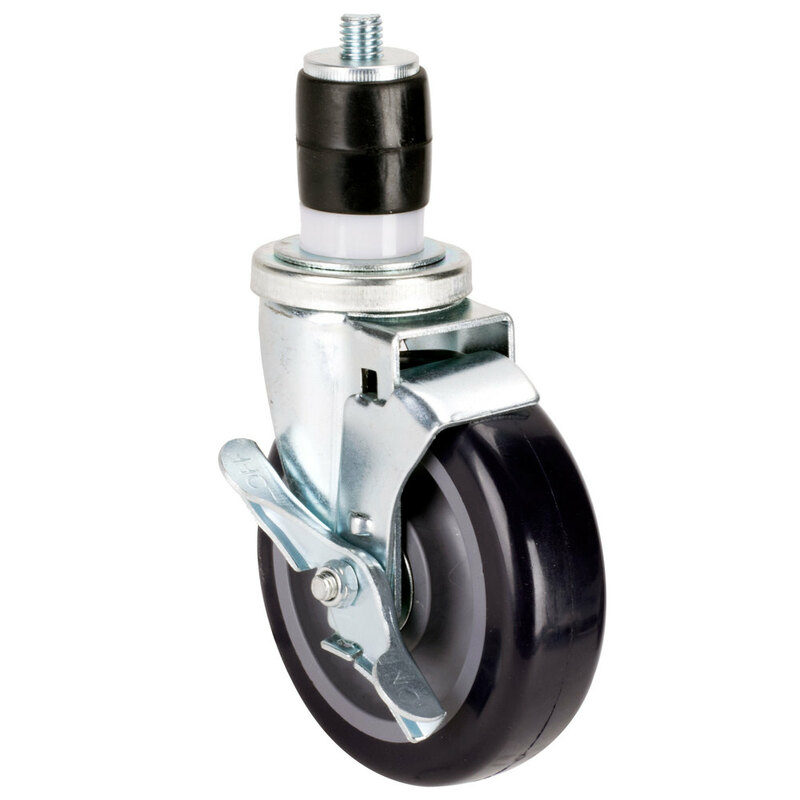 Each set includes 4 grease resistant, long lasting polyurethane casters; 2 swivel, 2 with brake.